Star Wars, Harry Potter, Indiana Jones, Batman: some of the world's biggest film franchises have received the Lego treatment, and now it's time for Disney's popular pirates to walk the bricky plank, as Disney announces Lego Pirates of the Caribbean: The Video Game out next year. Heading to Wii and DS as well as other current-gen platforms – i.e. everything except 3DS – the game will include over 70 characters from the first three films, as well as the upcoming Pirates of the Caribbean: On Stranger Tides, in over 20 levels. The much celebrated two-player co-operative play returns, as does free play mode, though there's no word on any new features brought to bear in the new adventure. Expect the game to find land in Spring 2011. Disney Interactive Studios and TT Games today announced that they are joining with The LEGO Group to bring Jack Sparrow and other familiar characters to life in virtual LEGO® adventures with LEGO Pirates of the Caribbean: The Video Game. The video game is being developed by TT Games, the group behind a portfolio of critically acclaimed, best-selling LEGO video games, and will be published by Disney Interactive Studios for the Wii™ console, Xbox 360® video game and entertainment system from Microsoft, PlayStation®3 computer entertainment system, PSP® (PlayStation®Portable) system, Games For Windows – LIVE and the Nintendo DS™ family of hand-held systems. The video games will be released simultaneously with the highly anticipated new film “Pirates of the Caribbean: On Stranger Tides” in May 2011. 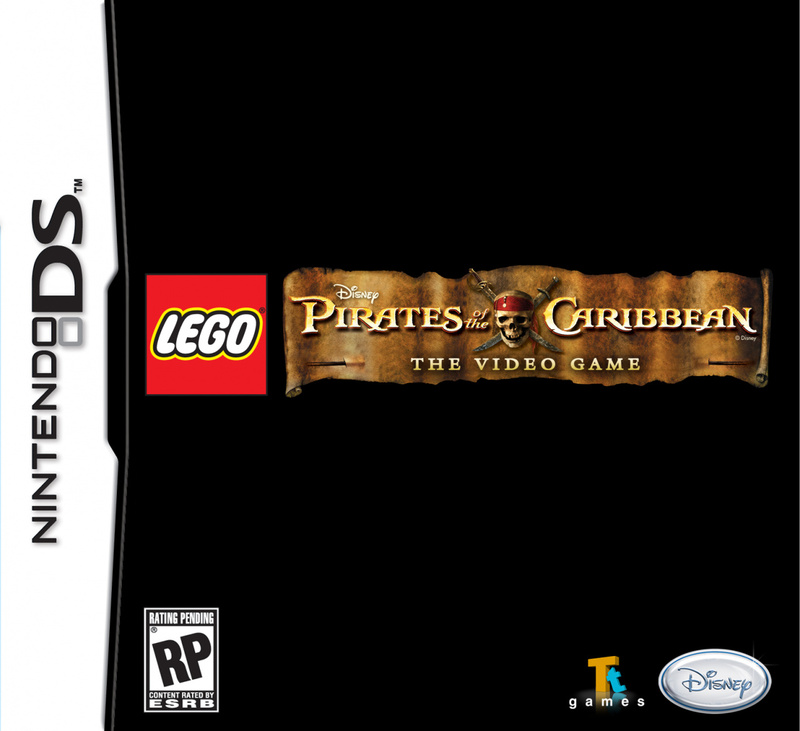 LEGO Pirates of the Caribbean: The Video Game will re-create the action, adventure and memorable moments of the Pirates of the Caribbean mythology in LEGO form, incorporating the humor of LEGO minifigures and fantastic worlds built from LEGO bricks and elements for players to explore. 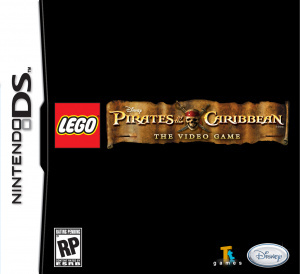 Players can take on the roles of more than 70 characters and experience the pirate adventure, irreverent humor and amazing creatures of the Pirates of the Caribbean films, through action-adventure gameplay and hilariously quirky LEGO cut scenes. Throughout the game, players will also have the freedom to explore environments from the highly acclaimed movie series in more than 20 levels. The game features two-player cooperative mode, in which players each control a character to experience the story together, and freeplay mode, which lets players return to levels to discover new items. To date, the Pirates of the Caribbean movies have generated more than $2.5 billion at the global box office while the multiple Pirates of the Caribbean video games have sold more than 6 million units globally. In a companion release today, Disney Consumer Products and The LEGO Group announced an upcoming collection of LEGO brand Pirates of the Caribbean construction sets that will launch in conjunction with the video game and film release in Spring 2011. I was hoping for Lego Lord of the Rings (perhaps when The Hobbit movie arrives?) but this is cool too. I really like Lego Harry Potter. Curious to see that they can do with teh Pirates franchise. Wow, I wasn't expecting this. Did they even make LEGO Pirates of the Carribean? I honestly thought we'd see LEGO Ben-10 or Toy Story next, as I know they've made those. Though they've also come out with LEGO Spongebob, I can't see the transition happening as the LEGO people don't talk in these games. EDIT: And by that, most of Spongebob's "comedy" comes from spoken dialogue. @3. Yeah, I think LEGO LOTR is the most wished for franchise to be LEGO-ized, lol. It's definitely mine. Anyway, saw this on IGN earlier today, so I've already done my happy freakout dance. I hope they make some serious changes to the formula though, because at the very least it's getting stale. Are you kidding? Another PotC movie? After what they did with the third, I'm surprised that anyone would want another. That's Disney for you. I remember a time when the LEGO company was the greatest champion of intelligent toys that reward imagination, invention, and even mechanical tinkering (Technic). While some of that fortunately still lives on (with niche products like Mindstorms, for instance), it's sad to see that their most prominent offerings are now always licensed products, and often carrying water for films or franchises that have seen better days, to put it kindly. Then again, smashing things with a friend is fun sometimes. But maybe not the 20th time, with yet another coat of paint to promote yet another franchise. In other news, I'm turning into Cranky Kong. I don't care about this one. I want Lego Back to the Future. Awesome! Out of all the possible LEGO-makes this one was at the top of my list. And then after that, Lego Avatar, Lego Narnia and Lego Fast and Furious? I think they must stop or really innovate because it's more of the same thing after Lego Star Wars. "Why is all but the rum gone?" Interesting to see how this one turns out. Lego Star Wars: The Complete Saga was Massive!!! My neighbor will probably get it (a fan of the more recent Tt Lego games) so most likely I'll play his copy. Also, how do I do Italics? Wasn't expecting this, sort of like Lego Rock Band. Shame I'm not a fan of POTC. @LuWiiGi Now a Lego Doctor Who I would buy! I wouldn't be able to pass up a chance of snagging a Lego TARDIS. If that also means they travel through time, that would be awesome. Also, then unlockable Doctors (to have all 11 in total, and maybe even play as the Master) would have me grabbing it in less than 2 heart beats. a lego pokemon would be teh best idea in history!!!! But In Japan they have megablock pokemon. Everything except Lego Lord of the Rings........jeez. @Bulbasaurus Rex: Ah heck yeah. I cant wait for this one although I will probably pick this one up on the 360. I have both Lego Star Wars, both Lego Indiana Jones, and Lego Batman. I havent played Lego Harry Potter yet but if its anything like the other ones I will enjoy it. I cant wait for this one to come out. Just one question are they still planning to make Lego Starwars III or has that been shelved for PotC? Played all the Lego games on the Wii but I am strangely not interested in this one. Maybe its because I thought the film trilogy was overrated and pants. Anyway, I'd be interested to read the review on Lego Star Wars 3! Sounds cool, but they've already had a Pirate line for years. Cool for a video game though. @Chunky Droid Some of the funniest Spongebob episodes were the early ones where no one talks. Also, I'm getting kind of tired of all the lego games. I'm not as interested in the lego games as I once was, but i did not expect this. With Pirates of the Caribbean being my absolute favorite movie series, I will surely get this. I think a Lego Jurassic Park would be pretty cool too.